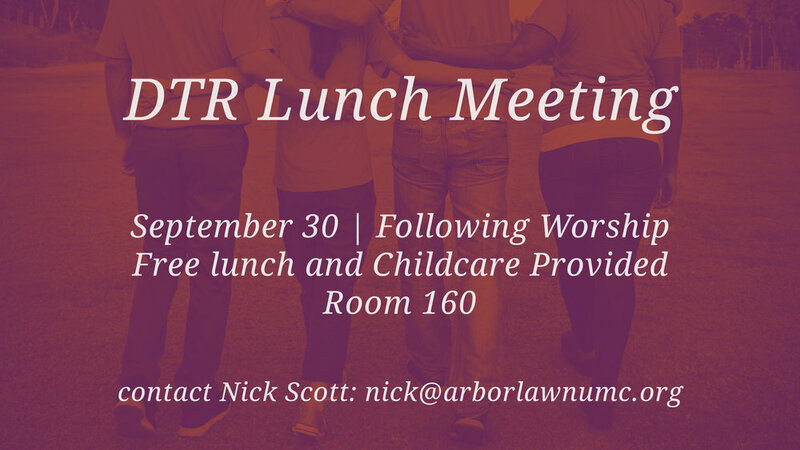 Members of the Eleven11 worshipping community are invited to a DTR Lunch Meeting on Sunday, September 30, following the 11:11 am worship service in Room 160. Lunch is free and childcare is available. For more information about this meeting, contact Rev. Nick Scott (nick@arborlawnumc.org).